A plan to build an organisation centred on local government had been milling around Liberal Party circles since the end of the war, with an advisory committee created to look into the proposition in 1946. Richard Wainwright took the idea further in the 1950’s by setting up a local government headquarters at the Liberal Party HQ (also known as the LPO, or Liberal Party Offices). Following a difficult set of elections for the national party in 1964 and for Liberal councillors in 1965, it was concluded that a councillors’ organisation should exist independently of the LPO. The original Association of Liberal Councillors (ALC) developed into a fully-fledged organisation between 1965 and 1969. This period is book-ended by Michael Meadowcroft’s Leamington Conference in 1965 (at which councillors indicated that they would be willing to fund an independent local government body by subscription) and the ALC’s recognition by the national party as a ‘recognised body’ in 1969. Given the four-year process by which it was formed, we tend to split the difference and fix the date of ALC’s birth to 1967. You may not be ready for the methods, but you may be ready for the results! Throughout the 1970s, membership of the Association grew, as did its profile within the party. In 1975, ALDC took its first stall at Federal Conference, a tradition which is alive and well to this day! In 1977, ALC moved its offices into the Birchcliffe Centre in Hebden Bridge, West Yorkshire. Tony (now Lord) Greaves was appointed the Association’s first full-time member of staff in 1977, and was followed by a second in 1978. In the 1980s, ALC added support for councillors in positions of control or influence to its work (both to increase the quality and to prevent councillors ‘going native’ in town halls!). The birth of the SDP also led to the first Social Democratic councillors and the beginnings of co-operation between the two parties. 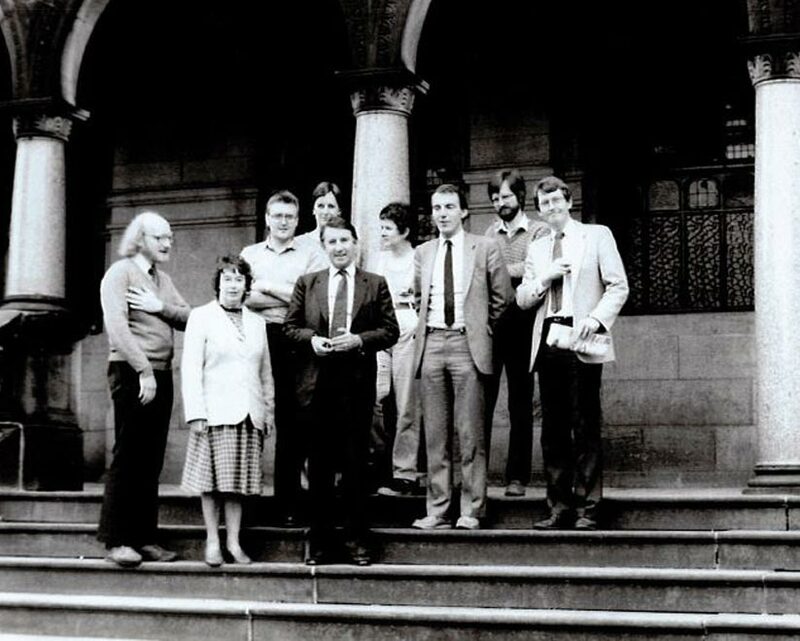 By 1987, there were five staff members and over 1,000 more Liberal/Alliance councillors than ten years before. ALC had also begun co-ordinating mailings with the whips office in Westminster to provide a news service integrated with the national party. Through the party’s tough ‘merger’ period that followed, ALC and its counterpart ASDC combined to form ASLDC in 1988 and, after a miserable set of elections in 1989, it was widely credited with “saving the party” through the ‘People First’ campaign. 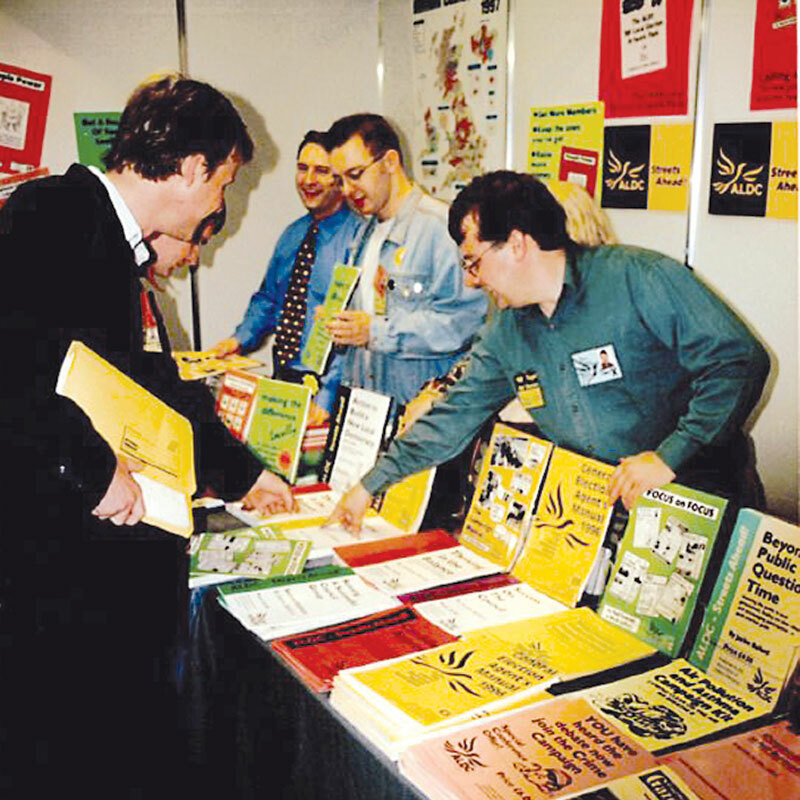 The 1990s saw the growth of regular ASLDC publications with campaign ideas and ‘drop-in’ artwork packs filled with template stories and ideas for local leaflets. The 1997 election proved a (not unwelcome!) challenge when three of ALDC’s staff members – Andrew Stunell, Jackie Ballard and Paul Burstow – were elected to parliament. Howard Sykes became Chief Executive shortly after Andrew departed to his new role in Hazel Grove and Westminster. The early 2000s saw a continuing increase in the number of Liberal Democrat councillors, which hit a peak of 4,700 in 2006. In addition to regular publications and training, the ALDC website and residential Kickstart training weekends were added to the range of services offered to members. In 2006, Tim Pickstone became Chief Executive and added the MyCouncillor network of websites to the list – with each ALDC member able to create a free, online space to blog about local events and display contact details. 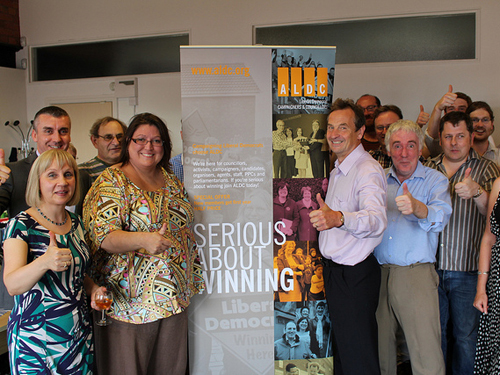 Towards the end of the 2000s, ALDC also developed regular email-based briefings for members and for local election candidates and greatly expanded their role in providing election law advice for Liberal Democrats – including staffing the party’s election law telephone helpline for the 2010 general election. The 2010 coalition changed the political landscape massively, and ALDC has been at the heart of adapting to the challenges of life in national government. As well as printing specialised publications on subjects such as ‘Campaigning in Coalition’ and making the most of the Localism Act, we have diversified our training to include the new developments in online communications and campaigning, and social media. ALDC has also moved to deepen its unique relationship with the party’s grassroots, appointing ‘Regional Representatives’ to work with local parties in every party region and employing three Development Officers, who work remotely across the country helping local parties build the capacity and campaign as effectively as possible. To further build our own capacity to help local parties campaign successfully, ALDC moved its offices to Manchester shortly after the 2013 County Council elections.